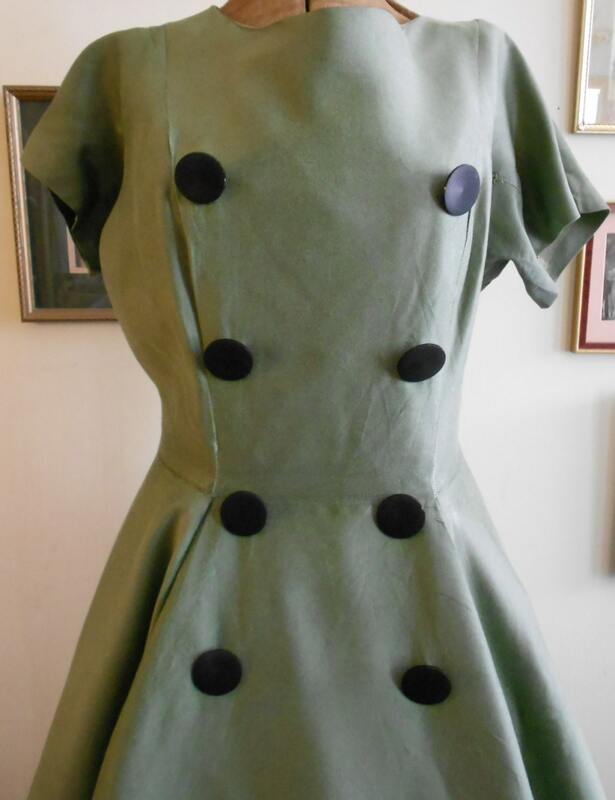 1950's, 38 bust, light green acrylic dress with attached black stiffening under skirt of dress. 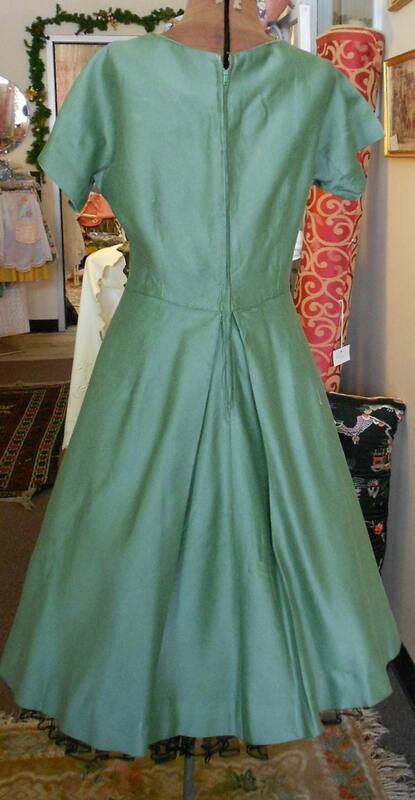 1950's, 38" bust, light green acrylic dress with attached black stiffening under skirt of dress. 1950's, 38" bust, light green acrylic dress with attached black stiffening under skirt of dress. Dress has scooped neckline, and cap sleeves. 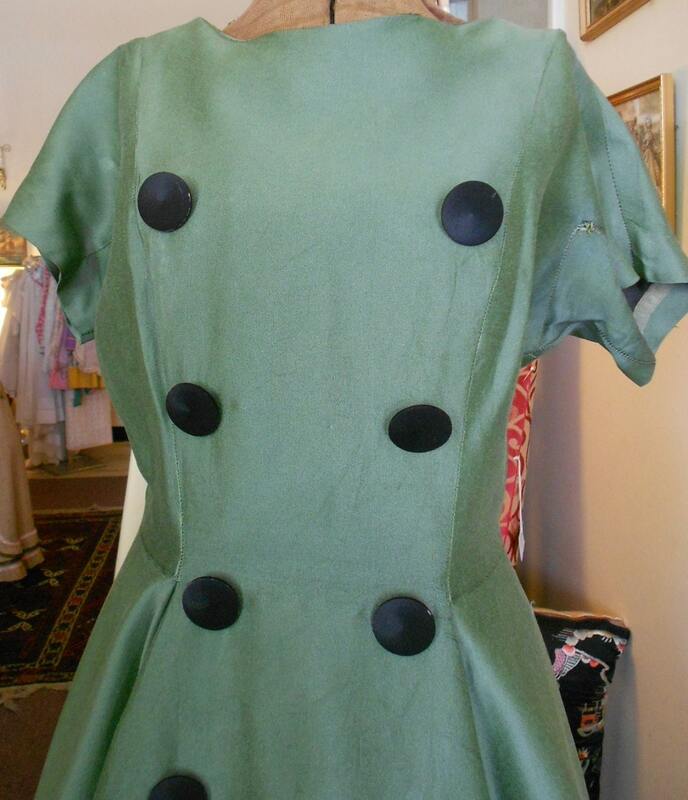 Eight large round black plastic buttons decorate the bodice of the dress. Skirt of dress is full , long back zipper fastens dress. Condition: very good, mending at bottom of arm hole at left.